Dubbed as the Machu Picchu of the Canaries, the village center is situated along a ridge underneath a bullet shaped pinnacle. Steep ravine walls rising on either side of the village add to its beauty. 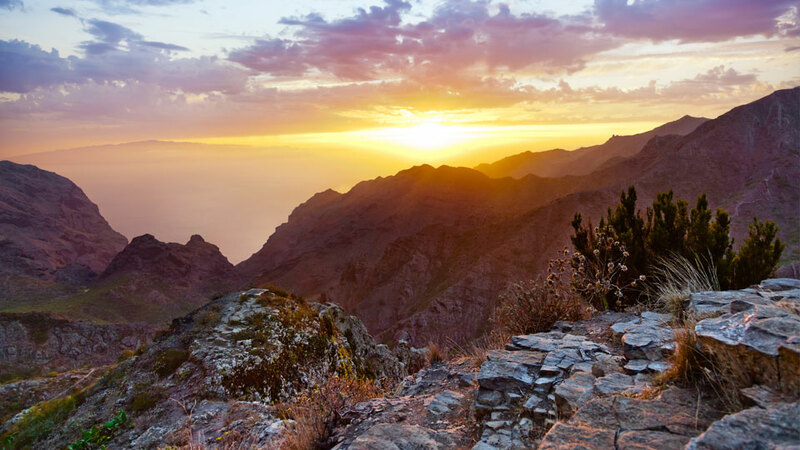 Beyond the pinnacle, framed in the V of the ravine, is the view of the Atlantic Ocean and the island of La Gomera. Imagine having this scene during the sunset. Until recently, this picturesque town was only accessible on foot or by donkey. At present, it is now connected to the rest of the island by road. Even so, this charming village is still difficult to reach, but it’s well worth the journey. The trip takes visitors through deep ravines interlaced with lush green vegetation. Winding roads lead to heart-pounding hairpin bends. Once visitors reach Masca, the natural beauty of this stunning location is overwhelming. There are colorful stories about the small community, suggesting that it was once a pirate village. However, many villagers attest to the impression’s fallacy. Nevertheless, the remoteness of the village, preserved even after its rise to fame, has an intriguing air in it. Curious travelers even dive deep to the fascinating tales of witchcraft and legends from the village’s local records. Masca is located at one of the oldest geological sites in Tenerife. The rich and endemic flora, astounding ravine and rock formations were the results of many volcanic emissions in the past. In 2007, forest fires raged across Tenerife, burning homes and destroying vast areas of pine forests. The village of Masca was one of the affected areas. It was the dark days; villagers were forced to camp out, and many homes were left charred. Fortunately, there were only very few recorded injuries. Months passed, and the village of Masca and the rest of the island recovered from the devastating incident. The community redeveloped the village infrastructure and continued to restore its old town charm. At present, the inhabitants of the village have altered their way of lives to cater to the regular stream of tourists. With entertaining things to do and places to see in Masca, it’s no wonder why this village is the second most visited tourist destination in Tenerife. To walk around the village is to get an in-depth understanding of its rich history and culture, even without a guide. The few establishments reveal a lot about Masca’s heritage and architecture. Moreover, the surrounding lush forest tells stories of how the Guanches may have lived their lives all but a world away from civilization. Standing out against the greenery of the mountain backdrop is the white-washed Masca Church. The church, small as the village is small, can only hold up to eighty people. The church is connected to the village square, which also doubles as a viewpoint to the ravine beneath. Perched on the mountaintop town is the small and unimposing Masca Museum. It houses primal tools, unique artifacts and living conditions of the isolated Guanche settlement. There is no better way to explore the ravines of Masca than by wandering on foot. 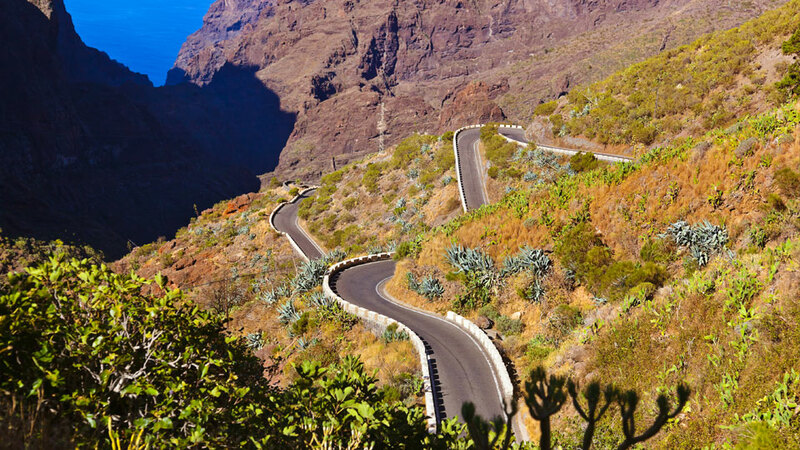 The route starts from the village through the Masca Barranco down to the beautiful Masca Beach. It’s a marvelous path, descending beside trickling streams and jade pools, cane groves and swaying palm trees. During the walk, visitors can’t help but admire the rich flora and fauna in the area as well as the ancient ravine walls looming ominously above. Visitors who are physically fit would not find it difficult to hike down the gorge, but there are some parts which can be a little tricky. In general, the trail is easy to follow and well sign-posted. Believed to have been a pirate hideaway, the small Masca Beach on the coast is a three-hour walk from the village. The hike, already a reward in itself, is through stunning sceneries and interesting rock formations. Upon arrival, visitors may enjoy the tranquillity of the beach and the beautiful Atlantic Ocean. 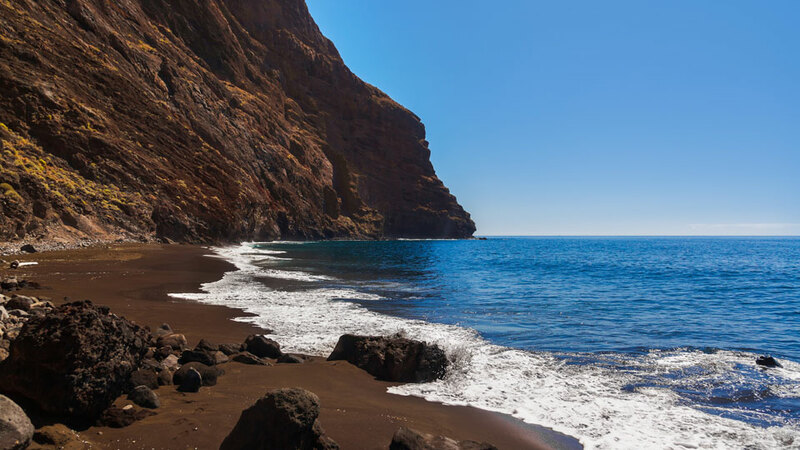 This secluded, narrow beach features black sand and rousing, shimmering sea. From the sand, volcanic rocks soar and curl around the bay, giving the beach a lagoon feel. It is worth bearing in mind that once down the beach, walking back to the village takes much longer and requires a high level of fitness. Alternatively, visitors may take a boat from the coast to the nearby Los Gigantes. Visitors who want to skip the hiking back to Masca village part may take a water taxi or kayak to the nearby Los Gigantes. These activities are perfect for those who to just sit back and relax after the strenuous downhill walk. The dramatic vertical sea cliffs of Los Gigantes, with some places 400m high, are best viewed from the water. Furthermore, visitors may even have a close encounter with dolphins and other sea creatures along the way. The Fiesta de la Consolación takes place in the first week of December. Villages wearing traditional dresses bring out their musical instruments for a magical evening of Canarian music. This is a fun local experience that visitors must try when visiting Masca. Masca is located in the northwest at the foot of the Teno Mountains. Part of the thrill of visiting this quaint village is the journey to get there. The easiest route from Tenerife’s southern resorts is via Santiago del Teide. Visitors driving on their own may take the TF-436 motorway. Along the way, narrow roads wind up to a small pass with stunning landscape views. The road writhes around the steep slopes, with switchback after switchback as it descends into what could be a lost world. It’s an exciting drive but not one for nervous drivers and passengers. Alternatively, guests may take the TITSA bus line 355 straight to Masca, which takes about 15 minutes. On the other hand, visitors who’ll drive on their own from Puerto de la Cruz or other northern towns may take the TF-5, TF-82 and then TF-436 motorways. This is the easiest and fastest route and may take about an hour. There is also TITSA bus service that departs four times a day, leaving at 9:01, 12:57, 14:16 and 15:00. Travel time may take 2-2.5 hours, depending on the departure time and bus route. Remember to obtain the latest bus timetable from one of the major bus stations. Visitors who are looking for hotels with 5-star amenities will not find them in Masca. A small village with only over a hundred in population, what Masca offers is a homey accommodation. This one and only holiday rental in the village never fails to make visitors feel as if they are locals instead of tourists. Casa Rural Morrocatana boasts one of the best-rated locations in Masca. It’s lovely sun terrace, as well as the balconies in some of the units, provide unrivaled views of the sea and the surrounding landscape. Bike hire is available on the property, and the area is popular for golfing. Also, Casa Rural Morrocatana features free WiFi throughout the property as well as free private parking. Considering the small size of the village, there is a limited number of restaurants and cafes to choose from. Even so, guests find themselves more than satisfied with the delicious traditional cuisines served at each bistro. 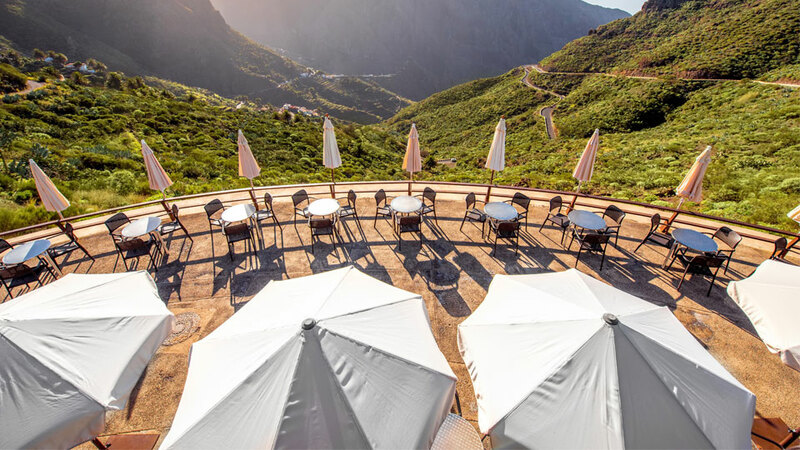 Perched at the head of the Masca ravine, lush greenery surrounds this bar and restaurant. La Piedra offers Canarian cuisines from breakfast until dinner. It also has a nice outdoor seating where guests can savor their delicious food while enjoying the terrific views. Anyone who’s ever dined in El Guanche could agree that more than the food, this well-loved restaurant offers an experience. Visitors find themselves engorged in the dishes that describe the true culinary tradition of the island. Fabulous food, splendid views, and fantastic service await at this delightful hole in the wall. With a terrace that offers unobstructed views of the ravine and the ocean, Chez Arlette is one of the well-regarded restaurants in Masca. The outdoor seating is superb, with lovely flowers and palm trees surrounding guests as they take delight in their delicious local lunch. Strolling around Masca is like exploring a vast, outdoor museum. It is more of a collection of rural houses connected by stone paved roads than a village. Aside from the striking ravine walls and the postcard-perfect view, the real beauty of the village lies in its culture and tradition. The rural town feel and the serenity has been retained, seemingly oblivious of its popularity among tourists. More and more visitors wanting to take a break from the hustle and bustle of the crowded resorts find a home in this tranquil village.